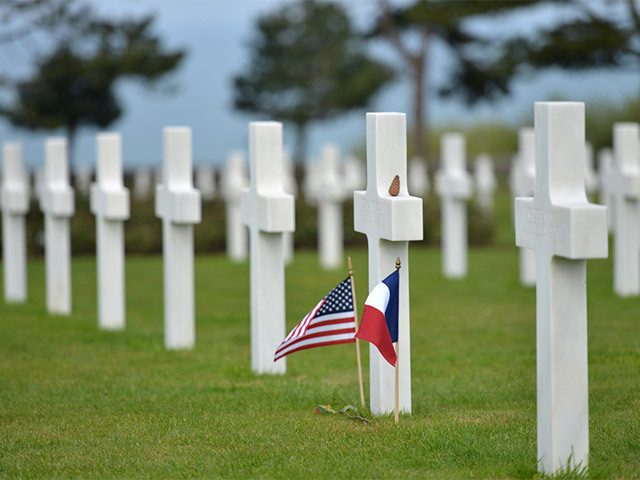 About 40 thousand of Americans died as a result of fierce battles against the Nazi army in 1944th in France. 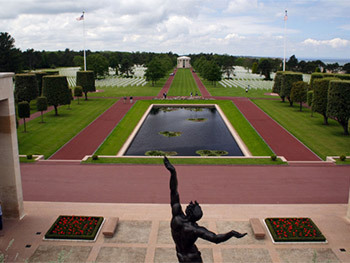 The grand opening of the American military cemetery took place in 1956, and the land plot for burial was given by France in perpetuity. Endless rows of pure white marble crosses or the Stars of David are located at the area of 70 hectares with green lawn. Their total quantity is 9 387. 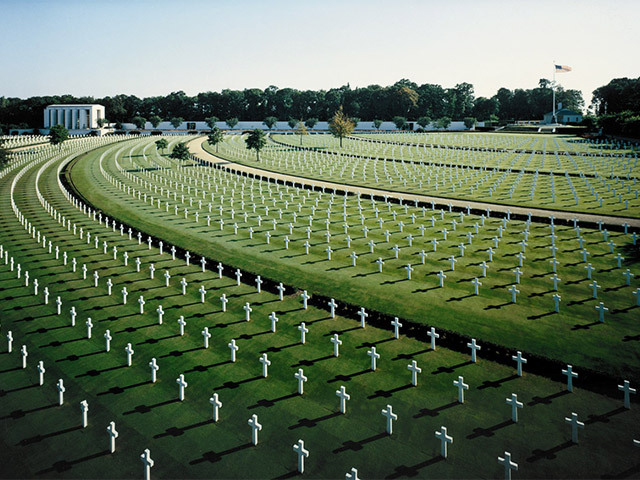 Theodore Roosevelt’s sons: general Theodore Jr. and pilot Quentin, who died in the 1st World War are buried here. 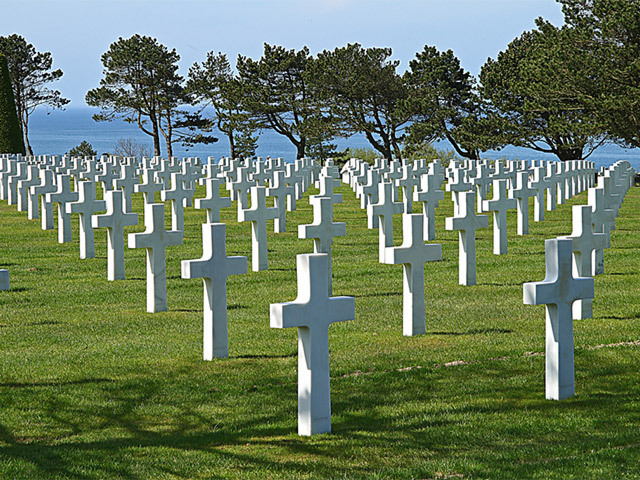 Here general of the US army Lesley James McNair found his peace. At the entrance at the cemetery we can find the memorial with engraved maps, the monument-is a bronze sculpture of the ascended to the heaven soldiers and the wall of Honour. 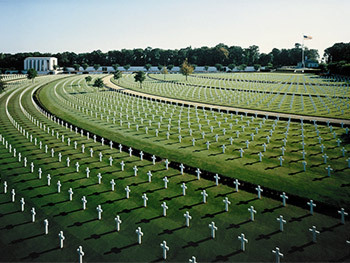 At the end of this one, there are a small chapel and museum, oppened in 2007. Many Americans come here to commemorate the victims of the war heroes.